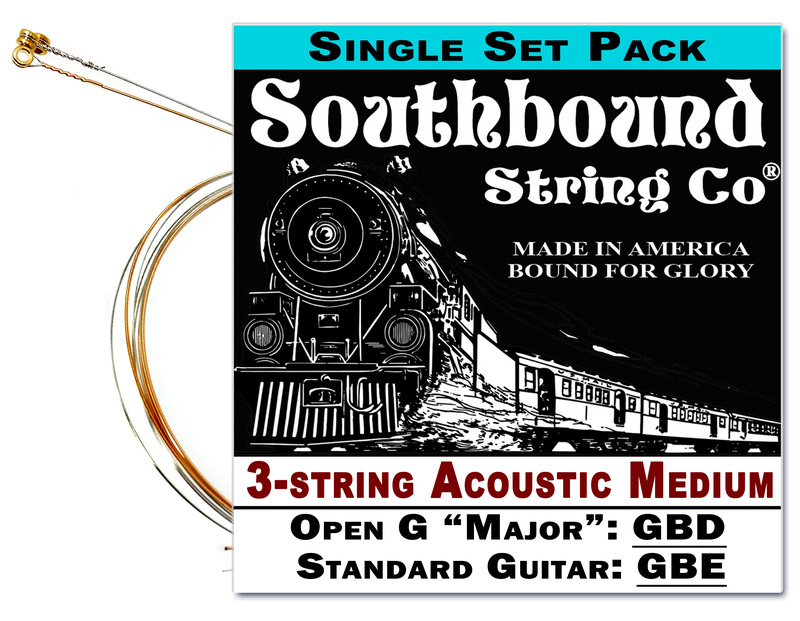 At the Southbound String Company, we are dedicated to offering cigar box guitar and other handmade/homemade instrument builders a wide variety of string sets to choose from for their special builds. Unfortunately, offering a wide variety can make it hard for folks who just want to quickly find the one specific set they want. This guide will attempt to make that easier, by offering a clear breakdown of all the string sets we offer. Our recommended/favorite sets for each tuning will show up in green. If any of this confuses you, you may want to review our article on strings and tunings over at www.CigarBoxGuitar.com to help make it all more clear. Without further ado, here is the string set picking outline, with direct links to each currently available product. 12-pack (Product #34-014-02) – COMING SOON! 12-pack (Product #34-015-02) – COMING SOON! 12-pack (Product #34-016-02) – COMING SOON! 12-pack (Product #34-017-02) – COMING SOON! 12-pack (Product #34-018-02) – COMING SOON! 12-pack (Product #34-019-02) – COMING SOON! 12-pack (Product #34-020-02) – COMING SOON! 12-pack (Product #34-021-02) – COMING SOON! 25-pack (Product #34-007-03) – COMING SOON!